As a founding partner of Tailor Made in Brazil, Pablo became COO when the agency merged with Leo Burnett in 2011. Since then, the company has grown by 86 percent with new clients and new disciplines, such as Sports Marketing, Digital/Social Media, Brand Consultancy, and Retail. As a leader in the organization, Pablo’s job is to implement these services as well as innovate new ideas. 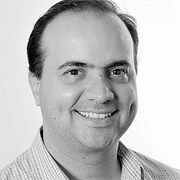 Pablo has come full circle in his career, starting at Leo Burnett Brazil in 1997 and working in the Mexico office for two years. He then went on to work as an Account Manager for VIVO Telecom at Young & Rubicam. He was then invited to work for Neogama/BBH as a Client Service Director for the Unilever, Sky and Levi’s accounts, and had the mission to set up the structure and operation of the BBH hub for Latin America. In the beginning of 2008, he was transferred to London to work for BBH LONDON, where he was the Global Client Service Director for Johnnie Walker and Becel (Unilever). In 2009, he joined Africa Advertising in Brazil to lead Vivo Telecom and Itaú Bank before becoming a partner for Tailor Made. Pablo took courses in Business Management with a focus in marketing at ESPM in Brazil.